Before becoming an attorney, Patrick Monroe worked for more than ten years in Senior Sales and Business Management positions at Fortune 500 companies and small businesses. He served as a Sales and Marketing Manager for an action sports brand; General Manager for a retail organization; President for a health & wellness sales organization; and Product Manager for a global technology services company. His experience was focused on revenue growth through new business acquisitions. Mr. Monroe also developed exceptional marketing and sales programs resulting in the doubling and tripling of revenues in short time frames. Mr. Monroe then focused on developing a legal career, which started during law school when he became a legal intern with Qualcomm’s in-house legal department, where he worked on licensing transactions, strategic alliances, and mergers and acquisitions. After graduating from law school and passing the California bar exam, he founded Monroe Law APC, a law firm focused on corporate law, which served private businesses in San Diego. Mr. Monroe was then recruited by Best Best & Krieger where he served as Of Counsel to assist in the development of the business practice group for the San Diego office. Best Best & Krieger is a nationally recognized law firm of nearly two hundred attorneys known for high quality work, deep expertise and unmatched ethics. 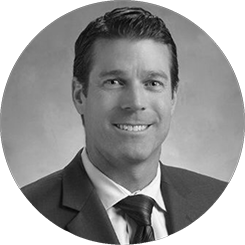 During his time at Best Best & Krieger, Mr. Monroe worked primarily on mergers and acquisitions and other business transactions for clients located throughout California and Nevada. Mr. Monroe then established Monroe Law PC, a law firm specializing in mergers and acquisitions and other business transactions. Mr. Monroe works with buyers, sellers and business owners, with a focus in the areas of technology, software, communications, life sciences, healthcare and professional services. Mr. Monroe also provides general legal services to privately owned businesses, which are seeking to build equity value with a view toward selling in the future. He does this by taking a wholistic approach to enhancing equity value, which includes minimizing risk, ensuring that the business’s assets are adequately protected, establishing an ownership structure that is appropriate for growth, establishing and maintaining proper corporate governance, making sure contracts are in place and optimized to benefit the long term interests of the business, establishing incentive plans for key employees, and putting in place contingency plans to ensure the survival of the business in case of unanticipated events. Mr. Monroe is licensed to practice law in the states of California, Nevada and Hawaii. For a sampling of some of the transactions that Mr. Monroe has worked on please see our Case Studies. Monroe Law PC is a law firm specializing in representing sellers, buyers and builders of businesses. We focus on advancing our clients’ interests while minimizing risk, which results in more successful transactions.